For the start of the new year, the Evo Syväjärvi sauna has been renovated by installing new benches and upgrading other wooden parts also. In addition, the sauna floor has been renovated and has modern floor heating installed. 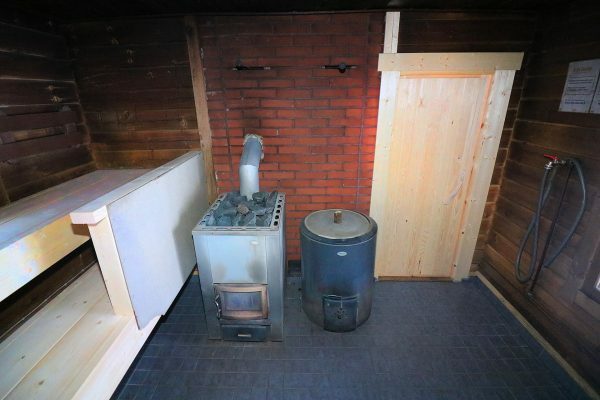 The wood-heated lakeside sauna has space for 10 persons at once. Located on the shores of the dark-watered Lake Syväjärvi, the building complex is especially suitable for fish groups, as salmons are regularly planted in the lake. It is possible to buy a fishing right when renting the premises of Syväjärvi. A typical Syväjärvi catch is rainbow trout weighing just over a kilo, but other species also lives in the depths of the lake. In the lake you can fish with a lure and a fly and also in the winter with ice fishing gear, even without a catch limit. In addition to fish groups, Evo Syväjärvi is a great place for corporate and community meetings and functional events. Naturally, Syväjärvi is also ideal for families or groups of friends. Just around the corner is Evo’s famous hiking area, which offers countless outdoor activities all year round. Read more about Evo Syväjärvi on the destination page, and ask for an offer!